Let’s create a Music Sprite or a sprite that controls playing and stopping of background music. Click on the alien-looking icon (choose sprite from library) to choose a costume from library. Browse to select whatever costume you like. I chose the drum. Rename this new sprite to “hip-pop”. It’s seems big for me so I shrink it with “Shrink Sprite” tool. Then click anywhere outside of the stage to get back to the cursor. Drag the Music Combo Block from dancer1’s Scripts Tab. Delete the combo block that plays music clips from “dancer1”. To turn music on and off, we need to create a virtual switch. Like a real switch, a virtual switch can be on or off. To create a virtual switch, we use Variables. 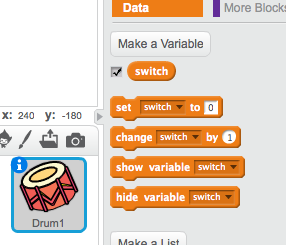 Select “Variables” Tool Box, and click “Make a variable” button. 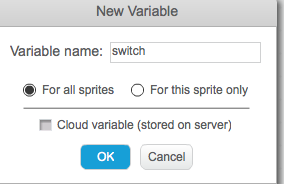 Then enter “switch” for Variable name. When the animation first starts, the music is playing and the switch is on. Click the “dancer1” sprite to turn it OFF, and click the “hip-pop” sprite to turn it ON again. If the switch is ON, music is ON; if the switch is OFF, music is OFF. For sprite, we will add three new combo blocks. The first combo block turns the switch ON (set music on to 1) when is clicked. The second combo block turns the switch ON again (set music on to 1) when “hip-pop” is clicked. 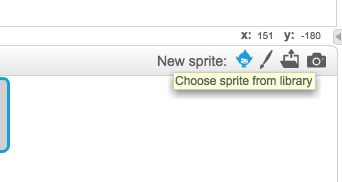 For sprite, we will add one combo block. This combo block will turns the switch OFF if “dancer1” is clicked. Your “dancer1” sprite should have these combo blocks. Your “hip-pop” sprite should have these combo blocks. Now you are ready to test. 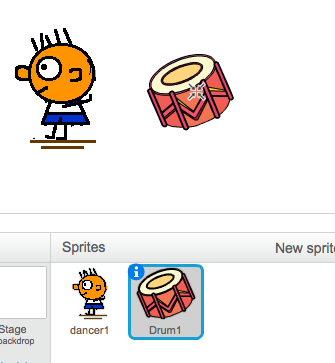 Click the green flag to start, click dancer sprite to stop the music, and the drum to start it again. I could not get this tutorial to work right. The drum stopped playing everytime I added the switch and other things. 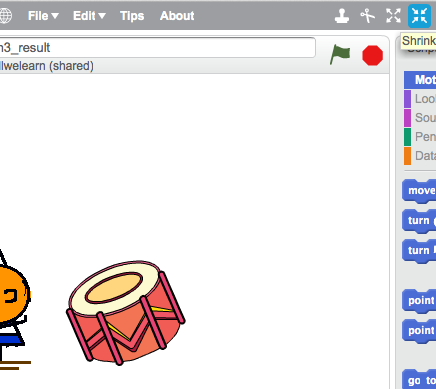 Could you give me the url to your scratch project on the scratch site? If so, i can take a quick look. I can’t seem to get Lesson 4 to work. I’ve checked it several times to ensure I am doing exactly like what you are, but the music just does not play as soon as I add the switch. 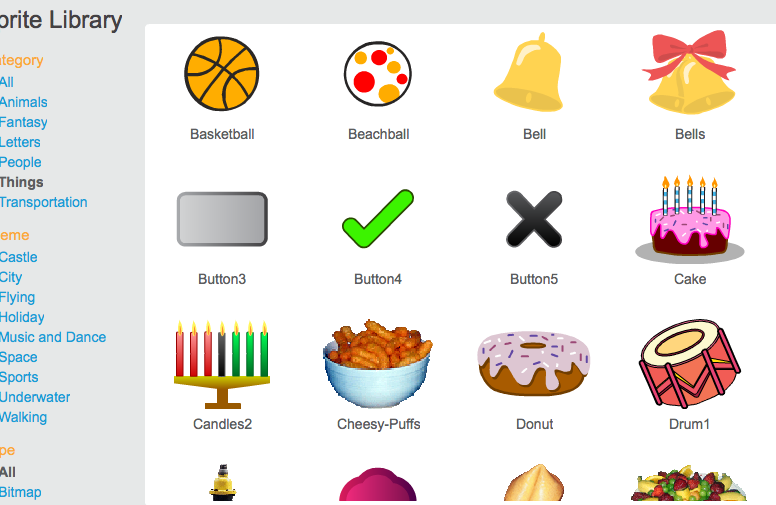 This lesson was created based on Scratch 1.4. I tried it with Scratch 2.0 and you are absolutely right. It did not work anymore. 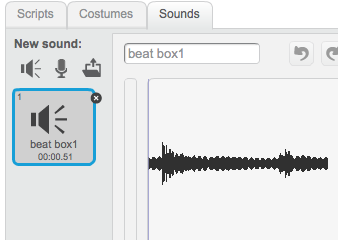 I believe this is a bug or unfinished feature in Scratch 2.0. When dragging the code block that contains music clip from one sprite to another, the code is copied but not the music clips referenced. I will update the lesson to reflect changes in 2.0. Thanks for the headsup. 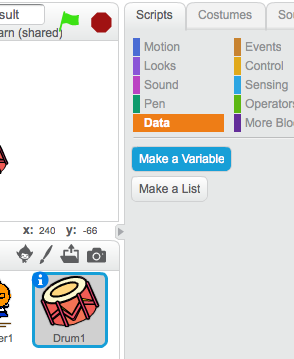 I’ve updated this post for Scratch 2.0, and also have included the project link. Hope you will find it helpful. Good day! This post couldn’t be written any better! Reading through this post reminds me of my previous room mate! He always kept talking about this. I will forward this write-up to him. Fairly certain he will have a good read. Thanks for sharing!